The Arrow War (1856-60) involved all the world's major powers, and could almost be called a world war because of the global economic and diplomatic issues driving it. 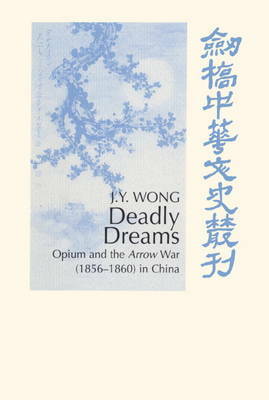 For twenty-five years Dr John Wong has been trying to discover the true origins of the war. What began as a study of an alleged insult to the British flag supposedly flying over the boat Arrow led to an analysis of complex Chinese and British diplomacy; of the even more complex Chinese tea and silk exports; of British India's jealously guarded economic strategies and opium monopoly; of cotton supplied to the Lancashire mills by the Americans, who thereby made up their trade deficit with China occasioned by their heavy purchases of tea; of intricate Westminster politics and British global trade; of French pride and cultural priorities; of Russian intrigues and territorial designs; and of America's apparent aloofness and real ambitions.